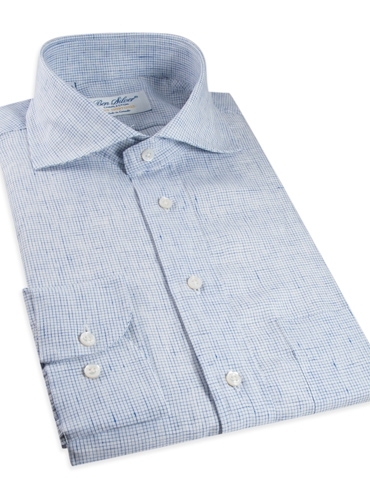 One of our exceptional pure linen shirts woven by the renowned mill S.I.C. 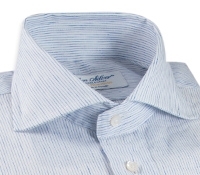 Tess, and cut in our perfect cutaway collar. 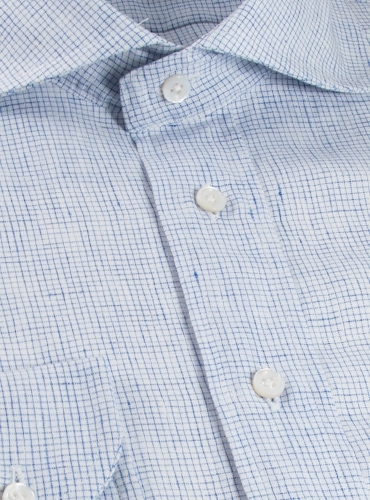 Shown here in white linen with a delicate broken blue grid. 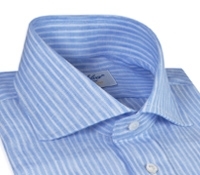 Also avaialble: 6012-white linen with a broken blue pinstripe. 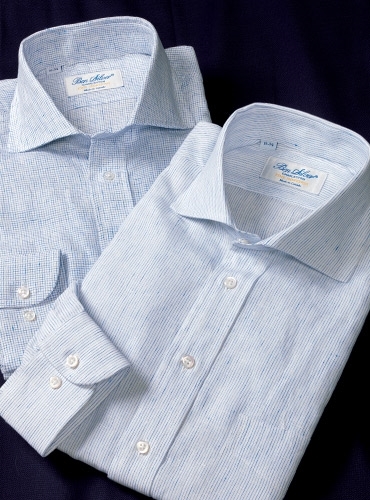 Each shirt will be a delight on summer days ahead.